Home » Technical Libirary » Industry knowledge » What are the problems and their handling methods? What are the problems and their handling methods? Modern construction site construction, each person for the different requirements of the construction materials, creating a lot of different needs of construction materials, today we have to mention is Larsen steel sheet pile, because Larsen steel sheet pile in recent years is very popular, then why the steel sheet pile Will suddenly developed, of course, this is necessary from the advantages of Larsen steel sheet pile, and we also mentioned that under what conditions is the use of Larsen steel sheet pile construction better? 7、for the construction requirements, the construction of Larsen steel sheet pile can reduce the space requirements. The above is about the use of Larsen steel sheet construction of the advantages of the introduction, know the advantages of Larsen steel sheet pile construction, then in our construction needs to take into account these advantages when you can use the Larsen steel sheet pile construction. And then we still have to analyze what under the conditions of construction with Larsen steel sheet pile construction better? 1、pay attention to the construction time, the construction time requirements, hoping to shorten the construction period, and hope that the construction is simple, it can use Larsen steel sheet pile. 2、pay attention to environmental protection, environmental protection requirements, try not to break the surrounding environment of the project. 3、the site of the soil is not suitable for other forms of structure. 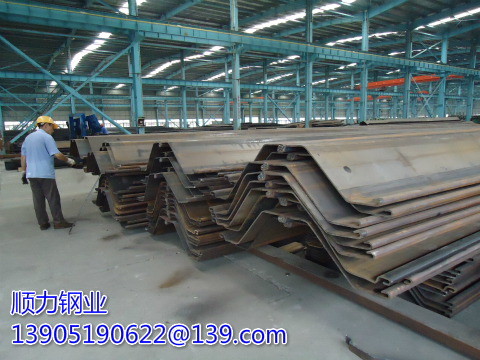 4、just the steel sheet pile for temporary structure, run out also want to pull out to sell, or direct rental. 5、do not want to use large excavation or grading, pay attention to engineering safety or consider the savings of the site. 6、pay attention to care about the seal, a higher water requirements. 7、hope that the structure of the site and so durable.